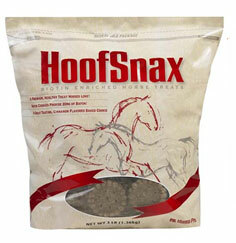 Opening the bag of Hoof Snax horse treats is like opening a door to the bakery. 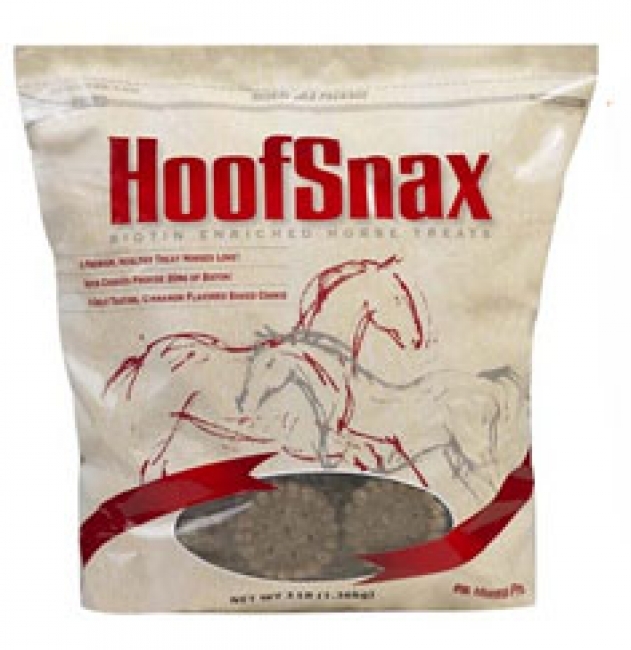 You will love the smell and your horse will love the taste! Oven-fresh, baked cookies are enriched with healthy ingredients. Just seven cookies provide your horse with 20 mg of Biotin for strong, healthy hooves. The treats are made with stabilized rice brand, brewer's dried yeast and touch of cinnamon, so your faithful companion will love the great tasting FlaxSnax. Manna Pro premium horse cookies are made from only the finest human-quality ingredients so you will love the comfort that comes from feeding your horse a wholesome treat that is good for them. Premium, healthy apple-cinnamon flavored treat for horses. Horse treats made with 20 mg of Biotin. Made with Brewer's dried yeast for optimal digestion.